The Duke and Duchess of Cambridge officially opened V&A Dundee today (Tuesday 29 January). 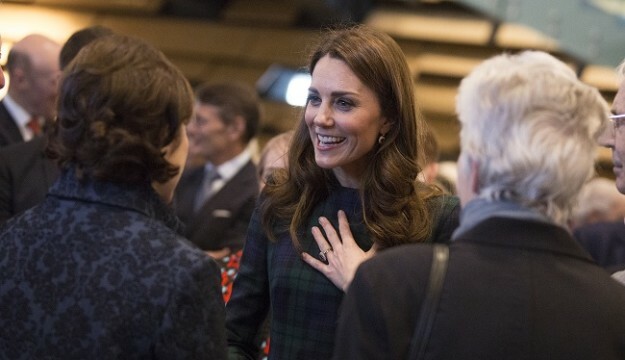 Their Royal Highnesses visited the new international design museum and met with its architect Kengo Kuma, key members of the team who created Scotland’s first design museum, and local designers, schoolchildren and young people who have worked with V&A Dundee. The Duchess of Cambridge is the first Royal Patron of the V&A, continuing the museum’s long-standing relationship with the Royal Family from the V&A’s founding in 1852. V&A Dundee opened its doors for the first time to the public on Saturday 15 September 2018. The museum has welcomed over 380,000 visitors since opening and was recently recognised as the world’s Best New Public Building by Wallpaper*, the international design magazine. The delivery of V&A Dundee has been overseen by the innovative founding partnership of the V&A, Dundee City Council, the University of Dundee, Abertay University and Scottish Enterprise. The £80.11m project was funded by the Scottish Government, The National Lottery through the Heritage Lottery Fund and Creative Scotland, Dundee City Council, the UK Government, Scottish Enterprise, University of Dundee, Abertay University and a successful private fundraising campaign, the largest of its kind in Scotland.